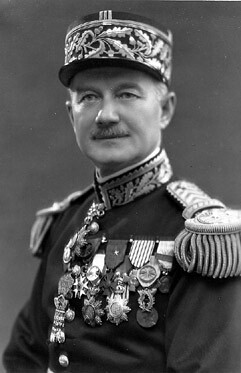 As a french army general and a colonial administrator, he served the Free French Forces in the World War II. Born in Valognes, France on march 26th 1884, Paul Legentilhomme graduated French Military Academy of St. Cyr in 1907. Later he was commissioned in the French army where he served in Tonkin, Indochina. In the first world war, Legentilhomme helped fight the germans on the western front. There he rose to the rank of captain. He was taken as a prisoner of war by the Germans. He was release after the war ended. 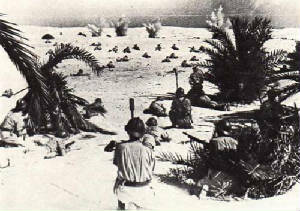 Later between 1922 and 1931, he served in the Far East and Madagascar. After that, he was promoted to brigadier general. From 1939 to 1940, General Legentilhomme led both the French and British forces in French Somaliland and Somaliland. He also lead French forces into Ethiopia as Italy entered the war in June of 1940. Even after France had signed an armistice with Italy, General Legentilhomme kept on advancing. Unsure of the support from his subordinates, Legentilhomme left Djibouti security to London on the night of August 1st 1940. Later in 1942, he was promoted to major general in the Free French forces and he helped lead a British and french units into Sudan. In April, he was formed in to the 1st free french division, where his division participated in the invasion of Syria in June and July of 1941, and invasion of Damascus on Jun 22nd. There he was seriously wounded in action but still kept his command in the battle. Later in September, he was appointed Commander in Chief in Free French Africa. In December of 1942, he became the Comissioner of French possession in the Indian Ocean area. He then took administrative control of Madagascar. On March 1943, General Legentilhomme was promoted to lieutenant general and then commissioner of national defense. by Jun 1944, he was the commander of the 3rd Military Region of France including Normandy. After the liberation, he become the military governor of Paris. Then, he became a full general in January 1947 before he retired. He died on May 23rd 1975.